Whether you suffer from basic dry skin, sensitive skin, or skin conditions like psoriasis, eczema, or rosacea, our products are created with you in mind. 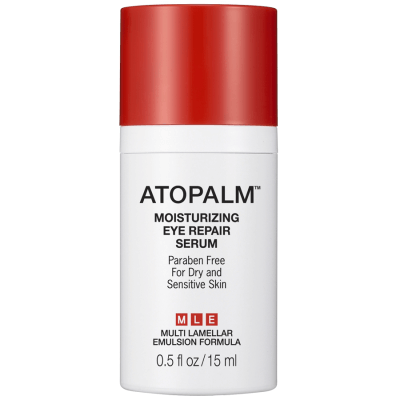 Extremely gentle and moisturizing, the entire Atopalm line works to reduce redness, calm discomfort, and support the skin’s natural functions. These actions allow the skin to rebalance itself, putting it into a cycle of health and beauty rather than dryness and discomfort. 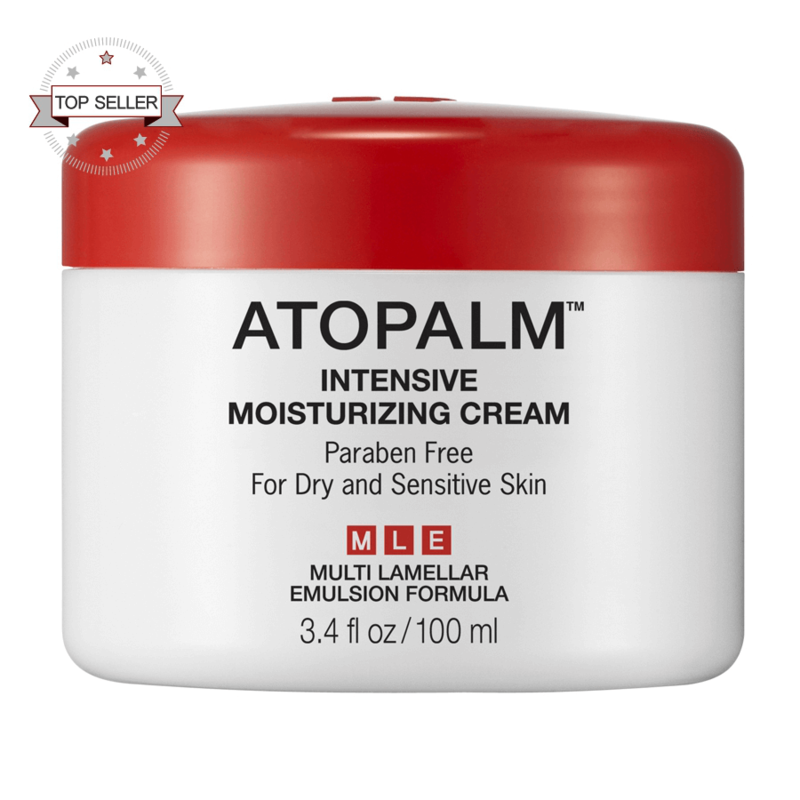 Atopalm Intensive Moisturizing Cream is a unique, paraben-free facial and body cream for sensitive skin and dry skin, created with Atopalm’s patented MLE technology. It contains plant-derived ingredients which mimic the structure of the natural skin lipids, thereby aiding their replenishment in the stratum corneum. This dry or sensitive skin cream helps to restore the skins’ protective moisture barrier, leading to softer skin. Our sensitive and dry skin cream for face and body also helps prevent the over-evaporation of the skins’ own moisture and protects the entire face from environmental stresses. Finally, this lush facial cream for sensitive skin and dry skin aids in restoring the natural lipids lost from the skin barrier which are depleted by harsh skin treatments, making it perfect for use after microdermabrasion. Intensive Moisturizing Cream leaves the skin feeling soft and supple. Sensitive skin creams are perfect for dry skin, damaged skin, and sensitive skin. While this moisturizing sensitive skin cream is great for the face, it’s also ideal for the rest of your body including your elbows and knees. If you’re looking for a body or facial cream for sensitive skin or dry skin, try Atopalm’s Intensive Moisturizing Cream today – the best moisturizer for dry skin. After cleansing with Facial Cleansing Foam, apply all over dry areas. Use as often as necessary, paying special attention to those stubborn, troublesome dry spots on elbows, knees and heels. 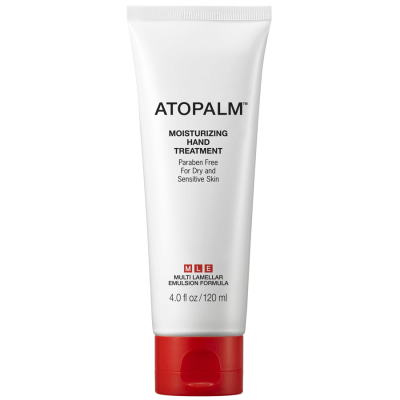 Atopalm Moisturizing Body Lotion is a lightly textured body cream formulated with MLE technology. This specialized formula is able to replenish lost moisture by mimicking the body’s natural lipids while simultaneously protecting against future hydration loss. The result is perfectly soft, supple, and hydrated skin. Atopalm Moisturizing Body Lotion is a lightweight, paraben-free body lotion formulated with Atopalm’s patented MLE technology. Simply the best body lotion for dry skin and sensitive skin, Atopalm Moisturizing Body Lotion will leave your skin feeling refreshed and hydrated. The quick-absorbing formula perfectly moisturizes the skin by mimicking the body’s natural lipids, thereby replenishing lost hydration while protecting against future over-evaporation. In addition to moisturizing, this light body cream also soothes and comforts with allantoin while conditioning and protecting with antioxidant-rich vitamin E. This perfect combination leaves the entire body feeling soft and smooth, while enhancing radiance and comfort. While this lotion can be applied to all skin types, it is a lotion for really dry skin or sensitive skin that will have your legs, arms and body looking healthy and radiant. Like all of our MLE products, this body lotion for dry, sensitive skin is made with patented technology that uses your body’s natural processes creating a healthy, natural feeling and look. We recommend using Atopalm Moisturizing Body Lotion with other Atopalm products. After shower or bath, smooth all over body. Use as often as necessary, paying special attention to those troublesome extra dry spots at elbows, knees and heels. Can also be used after shaving to help soothe skin irritation in sensitive areas and after sun to minimize skin tenderness. Atopalm Moisturizing Hand Treatment is designed to hydrate and soften the hands while reducing visible signs of aging. Moisturizers and antioxidants work to diminish dryness and dullness, while other ingredients tackle telltale signs of aging, including fine lines and wrinkles. With regular use, the hands will become softer, smoother, brighter, and more comfortable. ATOPALM Moisturizing Hand Treatment is an advanced anti-aging treatment cream designed to diminish visible signs of aging while protecting against environmental damage. Because the hands are regularly exposed to the sun, harsh weather, chemicals, and more, they are often the first area of the body to give way to visible signs of aging. Moisturizing Hand Treatment works to combat common aging signs, such as fine lines, wrinkles, and dullness, leaving the hands looking younger and more beautiful. Moisturizing Hand Treatment is formulated with a rich blend of moisturizers, antioxidants, and protective ingredients, as well as ATOPALM’s Maltese Formula. The formulation is especially beneficial for dry and sensitive skin, though all aging skin types can benefit from this product. With proper use, the hands will become softer, smoother, brighter, and suppler, all of which contribute to a more youthful appearance. In the morning, at bedtime and after every hand washing, squeeze a liberal amount into palm. Gently massage into the back of hands and palms and each finger from the palm to the nail. Pay special attention to the very dry areas especially the cuticles. Use as often as necessary. Atopalm Moisturizing Facial Cleansing Foam is a lush, refreshing foaming face wash designed to perfectly purify all skin types. It lifts away dirt, makeup, and debris without causing the skin to feel tight or stripped, leaving the face feeling comfortable and pure. Atopalm Moisturizing Facial Cleansing Foam is an ultra-gentle, paraben-free foaming face cleanser designed for all skin types. Its light texture refreshes the face while efficient yet soothing ingredients lift and remove dirt, makeup, pollutants, and excess oils. Moisturizing Facial Cleansing Foam works without upsetting the skin’s natural pH balance, allowing you to cleanse without causing the skin to feel dry or tight. After use, the face is refreshed, pure, and ready for further skin care treatment. This foaming facial cleanser works as a sensitive skin face wash and a dry skin face wash. What makes this the best sensitive skin cleanser is that it hydrates your face while cleaning it leaving your skin feeling refreshed and pure. Moisten skin. Pump generous amount of foam into Palm of hand. Gently massage with a circular motion over the entire face. Rinse thoroughly with warm water. Pat dry. Repeat if necessary. Not to be used to remove eye makeup. Atopalm Moisturizing Revitalizing Complex is a rich, advanced anti-aging skin care treatment for all aging skin types. It targets fine lines, wrinkles, laugh lines, rough skin, and more using a blend of peptides, vitamin C, and other unique anti-aging ingredients. 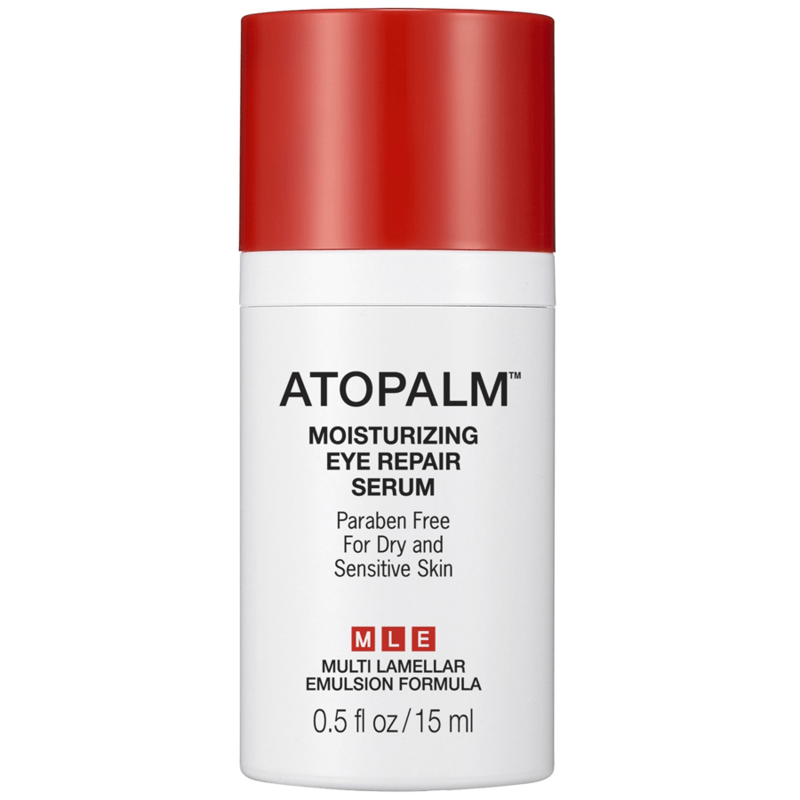 It also uses Atopalm’s MLE technology to replenish hydration, leading to a softer, suppler, and more radiant complexion. 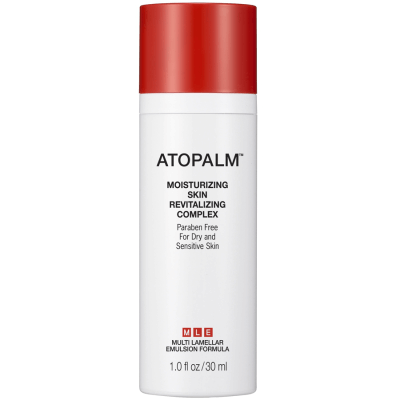 Atopalm Moisturizing Skin Revitalizing Complex is a dynamic, paraben-free treatment formula designed to reduce visible signs of aging while hydrating and reviving the complexion. Formulated with K6PC5, an activator that fights fine lines and wrinkles, as well as vitamin C and peptides, Moisturizing Skin Revitalizing Complex is able to recreate a youthful, vibrant appearance. This specialized anti-aging treatment also contains Atopalm’s patented MLE technology, a unique ingredient which is able to mimic the skin’s natural lipids. The benefits of MLE include the replacement of lost lipids, as well as the protection of future lipids, resulting in a perfectly balanced moisture level. Moisturizing Skin Revitalizing Complex is ideal for those who experience fine lines, wrinkles, rough skin texture, laugh lines, and other visible signs of aging. With continued use, the skin is awakened to its full potential and infused with a surge of new vitality, feeling softer, more supple, and looking brighter. In the AM and in the PM, after cleansing with Facial Cleansing Foam, apply all over face and neck with gentle, upward strokes. Pay special attention to laugh lines, forehead creases and those tiny fine lines in between the eyebrows. Import duties, tariff, VAT, taxes, handling fees, customs clearance charges, etc. are not included in the shipping charges. Such charges vary based on the shipping location and must be borne by the buyer. You may check with your local customs office to find out what import related charges may be applicable to your order. Please ensure the products you purchase will clear customs. We will not be responsible for products that won’t. We are not responsible for mis-delivery errors via carrier, or incorrect shipping info. Oops!Something went wrong with Product Price.